Excellent engineering requires amazing finish too. In order to remove all the dust and make home look the best, post renovation cleaning services Vancouver are the must. Small or big every constructions demands cleaning and each home want the finishing touch with care, to be in its best form. If you want no after renovation spots and clean debris, then Ecof Cleaners with its post construction cleaning service Vancouver can do that in no time. We provide complete care of each corner and area with our post renovation cleaners Vancouver. And the main benefit is we have made all this so affordable. So why work on your own or employ an unskilled person that can damage your walls or spoil the shine of your flooring with unwanted and cheap chemicals. Obviously, there is no need to take such a huge risk. It’s easy and simple to avail services of post construction cleaners Vancouver with Ecof Cleaners. It takes only a few minutes to book trained cleaners from us. If you want to see how little things bring change, then allow Ecof Clean to show. And make sure to look at our offerings before selecting any move out home cleaning companies Vancouver. Benefits of Post Renovation Cleaning Services Vancouver. Surely, no one wants to leave in a house full of dust, dirt and filled with remains of construction material. Post construction cleaners Vancouver will clean all those with ease. But most often it is asked why to take post construction cleaning service Vancouver? To answer this let us inform you that post construction is nerdiest of all. No doubt it requires professional skills but above that, it’s a labor intensive cleaning. Surely you would not miss office just because something chipped your leg. Apart from this, amount of dust present can easily unrest anyone. Therefore our professional post renovation cleaners Vancouver have the right set of tool to tackle every cleaning task; but take care of their safety too. It allows effortless and quick cleaning that curtails the involved danger and cost arising out of any mishaps during cleaning. Therefore in all manner move out house cleaning companies Vancouver help you. Whether you talk about protection against damages to you and your property or safety of your health, we safeguard you in every way. 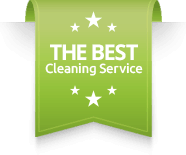 Consider Only The Best Post Construction Cleaning Service Vancouver. When you know the benefits of hiring post renovation cleaning services Vancouver, we are assured that you won’t take steps in any other direction to get all the dirt cleaned from the best post construction cleaners Vancouver. Now in this era when everything is just a search away, getting a post construction cleaning service Vancouver is no brainer. But wait! We accept that finding any ordinary service is easy but going and selecting only the best is not. You would surely need to research. Right! Yes, somewhat. It’s up to you to filter out those unwanted companies from the list which are of no good. After that, we are pretty confident about the services and quality of offerings and know Ecof Cleaners is the best choice for you. You won’t need to juggle with the option when Ecof Cleaners is in your list. All we need is your little time and at all subsequent stages we will help you with all your needs and suffice them. It’s our promise and we love to keep promises at any cost. Now strike-off all other names from your list of move out home cleaning companies Vancouver and get best post renovation cleaners Vancouver with Ecof Cleaners. Let Places Shine With Post Renovation Cleaners Vancouver. 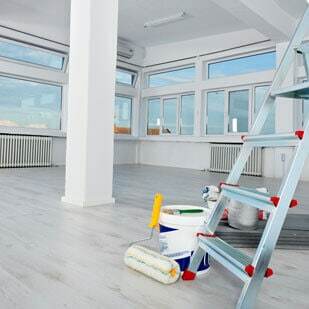 Whether it’s a new construction or you are renovating a small area of home or office, Ecof Cleaners knows how to handle the task of cleaning for your post construction cleaning service Vancouver needs. Our post renovation cleaners Vancouver have seen and cleaned peck of messiest places. This is the reason we are unique. Tedious work and vast experience of our post construction cleaners Vancouver enthroned us on the peak. It is their effort that allowed us to establish our name in the list of quality move out home cleaning companies Vancouver. We proudly offer all our post renovation cleaning services Vancouver. This is our guarantee that you can test in any conditions and we will not dissatisfy you. It is clear as a bell that we don’t risk our cleaners and take care of all the licensing and insurance very seriously. When browsing for the best companies after renovation just transfer all your cleaning liabilities to Ecof Cleaners and we will make all the efforts for making everything shine over there. Energize The Build Use Post Construction Cleaners Vancouver. Every construction work is an art in itself. For some that art is their home and for some, it’s their workplace that deserves the best in every manner. At Ecof cleaners, it’s our duty to give that deserving clean. All our post renovation cleaners Vancouver and post construction cleaners Vancouver are perfectly trained to give the best post renovation cleaning services Vancouver. They bring environment-friendly supplies and work equipment, which is part of our pledge to keep the environment clean. We clean the whole area while minutely focusing on each of its parts. No matter whether it’s a piece of furniture or flooring, we clean it all; even the doorknob. Don’t increase your health risk by reaming exposed to dust and dirt. Use our post construction cleaning service Vancouver and get everything cleaned. Our cleaners ensure the level of cleaning which increases your productivity and vitality. Ecof Cleaners work with just one goal – to satisfy customers by rendering the best cleaning services. Book Services From Leading Move Out Home Cleaning Companies Vancouver. We know all our clients are the best; therefore, we serve them in the same manner. Our post renovation cleaners Vancouver know workplace ethics well and they know the way to communicate in a professional manner. To be a step ahead of other move out home cleaning companies Vancouver, we always upgrade. In every way, whether it’s about new technology or our availability, we are progressing each day; giving top quality service and making fruitful relations with the client. It’s unlikely for us to forget our clients. We never forget anyone and bring offers and discounts to surprise all our customers. In this upgrade, we are also making our network of post construction cleaners Vancouver more powerful and flexible; making our future brighter and places of our customer cleaner. We are adding new features and services in our list to redefine cleaning. All this is just for the benefit of our customers and expects the support from them in the form of more queries and more bookings. Ecof Cleaners’ Peerless Post Renovation Cleaning Services Vancouver. From our side, that was all. We tried to clear up all on the matter of post renovation cleaning services Vancouver. We hope that you are satisfied with our list of offerings and would like to try us for post construction cleaning service Vancouver. In case you don’t feel the same way don’t let it be the same. We would like to hear from you regarding post renovation cleaners Vancouver. Ecof Cleaners is always ready to provide you with A+ service. Also, we feel delighted to answer all your queries. In case you are consumed about cost and need help, we do offer free estimation. Or if you have already availed services from one of our post construction cleaners Vancouver then we would like to hear your feedback regarding your experience with our services. It’s alright to express all your feelings regarding our services. Lastly, if you feel that we have something that we should learn from other move out home cleaning companies Vancouver, then also tell us and we will bring more knowledge and services the next time we see you. In the end, i am going to leave a Wikipedia link to know more construction cleaning and management. 1. What Should Be The Charges For Best Pre/Post Renovation Cleaning Services Vancouver? A. It’s not too high as actually, it’s not possible to tell exactly because it depends but there are companies like Ecof Cleaners in the city Vancouver from where one can get a free estimate. 2. How To Find Guaranteed Pre And Post Renovation Cleaning Services in Vancouver? A. One can ask Construction Company itself as finding online would be of great help and in top searches appears Ecof Cleaners Vancouver, so one can try contacting them. 3. Is It Safe To Go For Pre or Post Renovation Cleaning Services in Vancouver BC? A. It varies as if you go for someone professional like Ecof cleaners Vancouver then yes but randomly selecting anyone for those services can be of great risk. I took services from Ecof Cleaners. Now if someone asks me for Post renovation cleaning services then it’s impossible for me to recommend any other name. Professional Services at best!